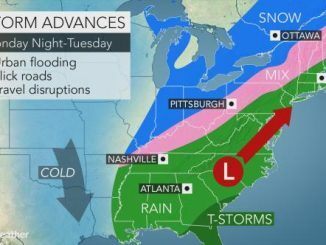 AccuWeather-(ENEWSPF)- AccuWeather reports as the weather pattern transitions to La Niña this fall, warm weather is predicted across much of the eastern United States. Meanwhile, developing dryness and worsening drought conditions will grip the majority of the western U.S. The Northwest may mark the only exception where cooler air will rule as a result of frequent showers. Those anticipating the turn to cool fall weather will have to wait longer than usual this year as a warm, dry start to the season is in store for the Northeast and mid-Atlantic. Typical cool shots will hit the region at times in October and November, but prolonged chilly weather will wait until late in the fall for most areas. 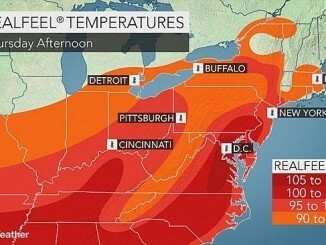 “As far as Philadelphia and New York City, I would expect that you’re not going to see many arctic shots or cold shots to spoil your plans here in the fall,” AccuWeather Expert Long-Range Forecaster Paul Pastelok said. “The only days that really may be cool are those that are wet. If the season follows our predictions, we’re not expecting too many of those coming up,” he said. The warm, dry conditions will lead to a promising harvest season for farmers and excellent weather for those attending fall festivals. Leaf peepers may get the short end of the stick, however. Opposite of areas farther north, the Southeast will experience largely beneficial wet weather early. Northern and southern edges of the region, in South Florida and the Tennessee Valley, may be the dry pockets this fall, while rain spreads over the rest of the area. An active weather pattern in October may allow severe storms to form across Alabama, Georgia and South Carolina at times. “Fronts and any tropical moisture from the Gulf of Mexico, that will all contribute to help out and break this short-term drought that they’re in right now,” Pastelok said. Experts predict the 2016 Atlantic hurricane season will yield a normal or slightly above-normal number of storms. However, regardless of season totals, one or two more impacts may be in store for the U.S. The beginning of fall may seem like an extension of the summer season for much of the Midwest, as heat waves grip the region into September. “Places like Chicago, St. Louis and Des Moines, they still have chances to touch 90 degrees or better for a few days in early September,” Pastelok said. Severe storms will also intrude on the season for some areas, including in St. Louis and Kansas City, Missouri. Warm and dry conditions will extend over the northern Plains into October, before a quick turnaround to fall-like weather, according to AccuWeather. 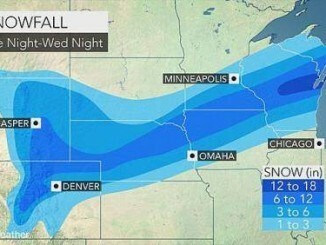 Cold shots are predicted to arrive by the middle to late November, just in time for Thanksgiving. The cold air, paired with a likely transition to a La Niña weather pattern, could allow snow to fall in late November. “The more snow we see, the colder the end of November and into early December will be,” Pastelok said. In the southern Plains, a large area of developing dryness will promote hot weather into the fall. The exception may be in eastern Texas, where tropical moisture will help to lower temperatures. Despite the temperature divide across the region, severe weather is unlikely to pose a major risk into fall. Cool, showery weather will define the fall across the Northwest. Periods of wet weather, sometimes lasting for a few weeks at a time, will allow cooler air to become entrenched across the region. However, there’s hope for those looking to enjoy some early fall days outdoors. Snow could build up in the highest elevations of the Northwest as soon as late September or early October this year, slightly faster than normal. 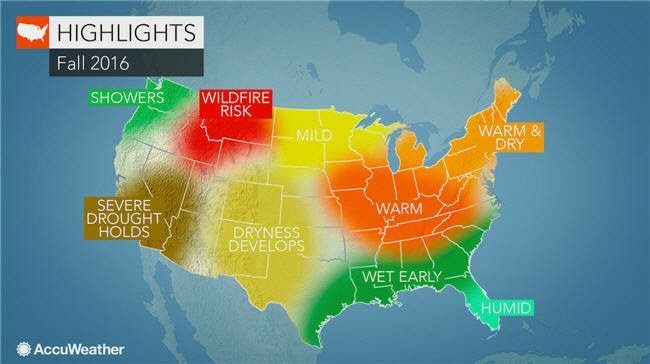 After El Niño failed to bring sufficient rain and snow to California and the West over the winter season, drought conditions will continue to raise the risk for devastating wildfires. Heading into the peak of the wildfire season, which stretches into September, a lack of moisture will allow dry vegetation to serve as fuel for new and ongoing blazes. “It’s bad now and it’s only going to get worse,” Pastelok said. Additionally, Santa Ana winds will fan the flames of existing fires, helping them to spread. Dryness will also continue in the Southwest, despite some early rainfall from the monsoon. “We still may have another spurt of moisture here and there into early September in eastern parts of Utah, but other than that, those areas will start to dry out as well by middle fall,” Pastelok said.